In the past few months, Ancora team members supported local organizations as they produced two refugee programs focused on integration. 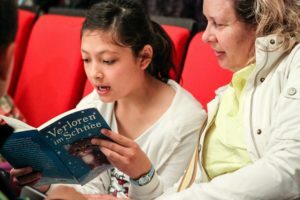 One event engaged young refugees in a German-language reading competition. 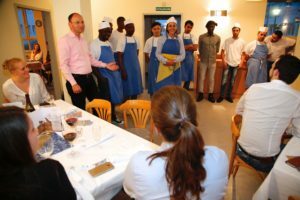 The other event created a cooking opportunity for refugee chefs. Both occurred recently on the same weekend with positive feedback from the community. 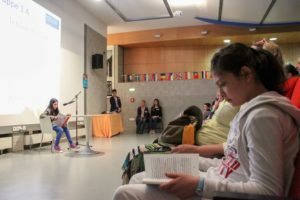 The reading project matched participating refugee students with a German-speaking practice partner in the weeks leading up to the event. At the competition, each student read a passage from a German book in front of a jury and audience at the local library auditorium. 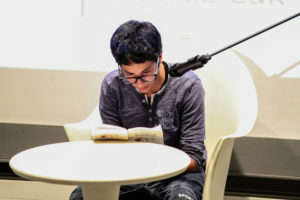 Participants were evaluated by the jury on different aspects of their reading, and four winners took home a free trip to a major amusement park. All attendees gained valuable public speaking experience while perfecting their language skills. At the cooking project that weekend, teams represented five nations when producing a multi-course meal for local food industry and government representatives. Cooks exhibited their culinary talents in hopes of employment or job training opportunities. 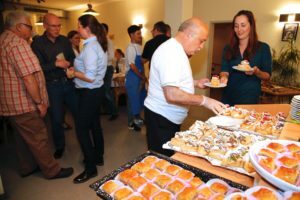 Each team created regional specialties as well as some German standard dishes. Between courses, attendees discussed various potential paths for hiring and successfully integrating skilled cook staff from the refugee community. Ancora gratefully served at both of these events in cooperation with Caritas and Freundeskreis Asyl. Despite having been in country only a short time, the Ancora team is making positive progress connecting with local leaders. Visits to several camps gave our Directors insight into which projects should take priority over the coming months. At present, Ancora intends to focus most heavily in three major areas: Education, Training, and Health & Fitness.